Authorities in Sao Paulo and Rio de Janeiro have announced they will reverse transport fare hikes that triggered widespread protests in the South American country. Sao Paulo Governor Geraldo Alckmin and Rio Mayor Eduardo Paes said at a joint news conference on Wednesday that the 10-cent increases in bus and subway fares have now been scrapped, reverting from $1.37 from the hiked $1.47. Sao Paulo Mayor Fernando Haddad has termed the hike reversal a “big sacrifice”. The 10-cent public fare hikes have sparked large protests across Brazil, posing a threat to the ongoing Confederations Cup games held in the country. The demonstrations, said to be the biggest in Brazil in more than 20 years, broke out on June 10. Though most of the protests have been peaceful, there have been reports of injuries, arrests and detentions. 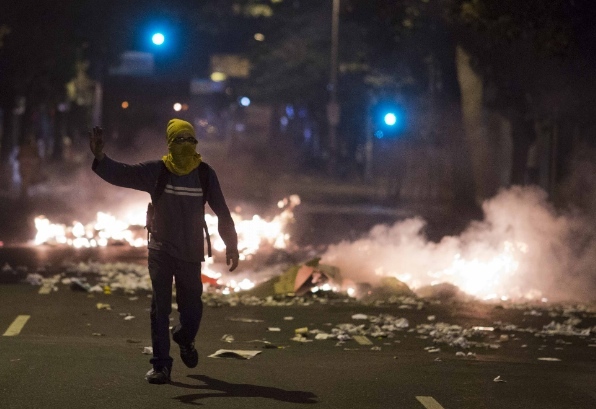 Meanwhile, there have been no signs of the demonstrations receding, as clashes were reported before Brazil’s football team played Mexico in Fortaleza in the Confederations Cup. Brazilian football icon Pele has called for an end to the protests. “Let’s forget all this commotion happening in Brazil, and let’s remember how the Brazilian squad is our country and our blood,” he said in a broadcast via the O Globo TV network.